There is a Czech proverb: You live a new life for every new language you speak. Locals always appreciate when a tourist takes time to learn a few words in the mother tongue of their country. 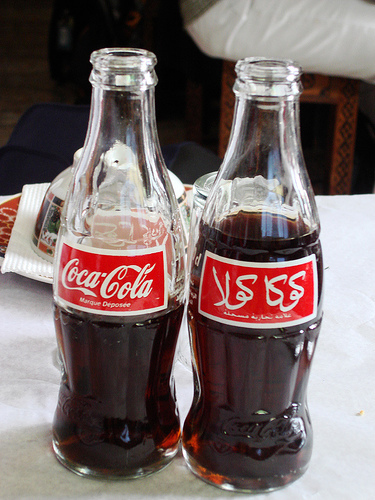 In Egypt, this means Arabic — specifically, Modern Standard Arabic (roughly equivalent to “the King’s English”). It’s not a romance language, so there are no words in common with English, except of course those borrowed from English! Although Arabic is an ancient language, many of the sounds are familiar to western ears. According to Wikipedia Arabic script is the second most commonly used alphabet after the Latin alphabet (used in English, French, German, Spanish…). Take a look at the phrases below in preparation for your Egypt trip. Good morning. — Sabah al kayir. Good evening. — Masah al kayir. How are you? — Keef haluk? What’s your name? — Aysh ismuk? Do you speak <English>? — Titakellem <ingleezi>? I don’t speak Arabic. — Ana laa atakellem al arabi. Where are you from? — Inta min weyn? I am from <America>. — Ana min <Umreeka>. What other useful phrases should we share with readers?